My boys are always so excited when they wake up to some great books, especially some fun activity books. 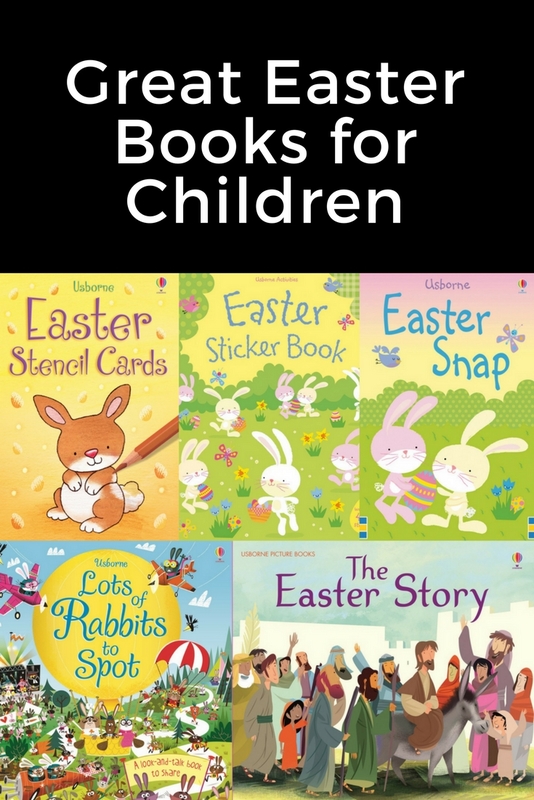 We usually spend our day doing fun family activities, including some quiet time using special Easter books. 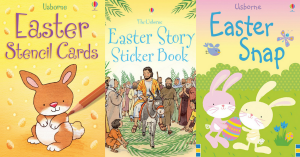 Here are my favourite books for Easter, including some sticker books and a card game! 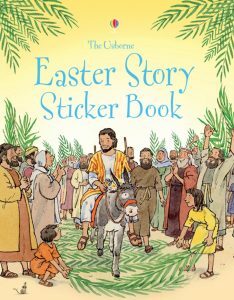 This is a simple retelling of the Easter story with 60 stickers for children to fill in the gaps in the story. 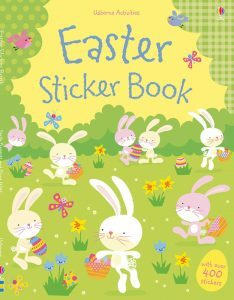 This is a colourful Easter-themed sticker book with over 400 stickers. 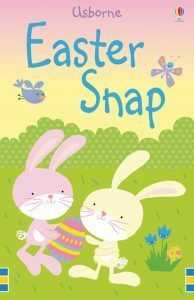 Some of the scenes in this book include Easter bunnies hiding their eggs, an Easter parade and Easter eggs to decorate. 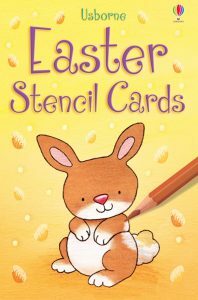 My boys love using these stencil cards to make cards and Easter art. It includes a box of sixteen sturdy Easter stencil cards. Some of the shapes are chicks, daffodils, lambs, bunnies and Easter eggs. Here is the perfect game for Easter morning. It includes a pack of 26 pairs of cards. 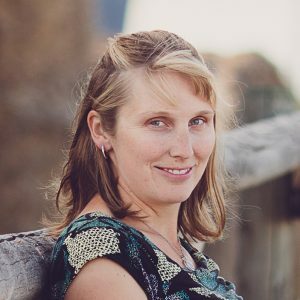 Some of the pictures are bunnies, chicks, and colourful Easter eggs. 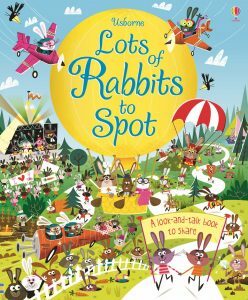 This look-and-talk book has numerous colourful scenes that are full of rabbits. It is also full of funny details to look for on each page and also has four pages of stickers, extra puzzles and games. A definite must for Easter morning! 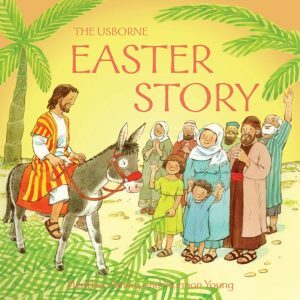 A wonderfully illustrated picture book that retells the events of the Easter story. 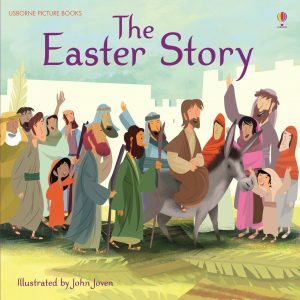 In this book, the Easter story is retold in very simple language. It is perfect for beginner readers. This book is part of the Beginners series. 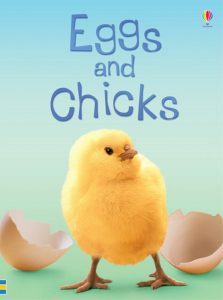 It answers many questions that relate to eggs and chicks such as which bird lays the biggest egg in the world and how do tiny chicks learn to fly? 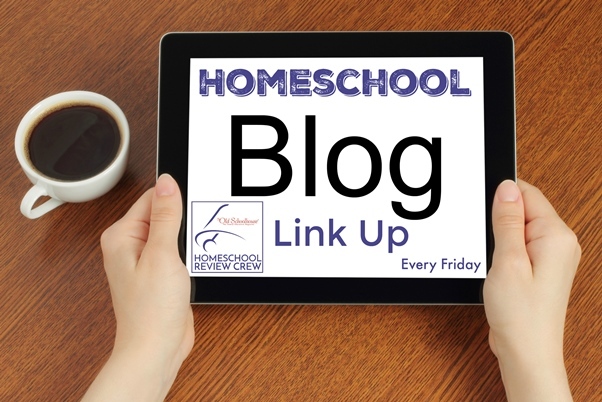 There is also some internet links to some great websites to provide more information and activities. 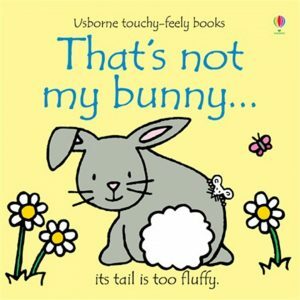 This book is from a very popular touchy-feely series for babies. 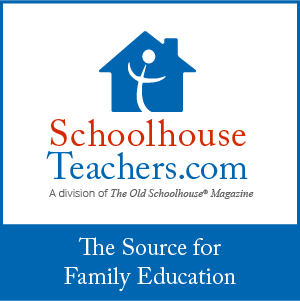 It includes simple, repetitive text with bright and colourful illustrations. 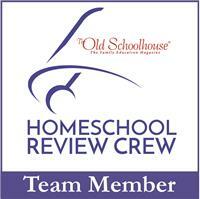 This post is linked at the Homeschool Review Crew Blog.